Arrr! 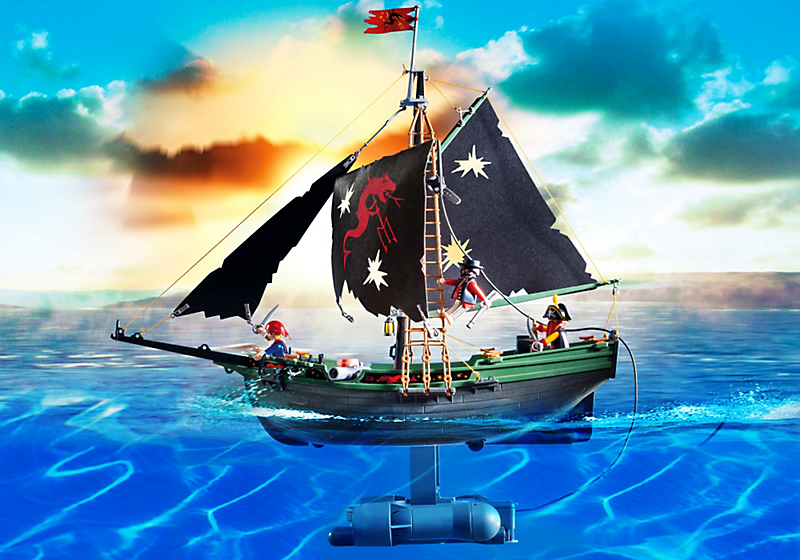 We're taking to the high seas maties, to shiver our timbers and scrub our poop decks. 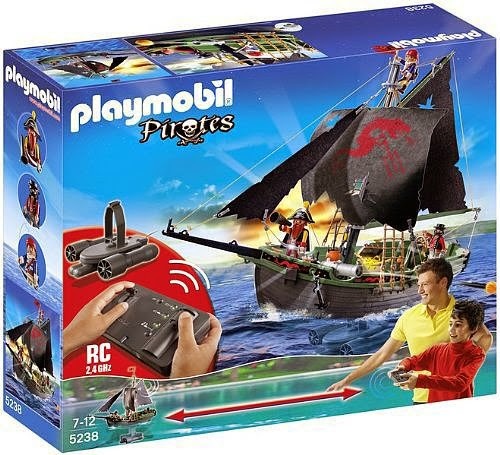 That's because we've been weighing anchor with a new addition from Playmobil, the Remote Control Pirate Ship. So set sail ye scurvy dogs, as we test the bejesus out of it, right the way down to Davy Jones' Locker! 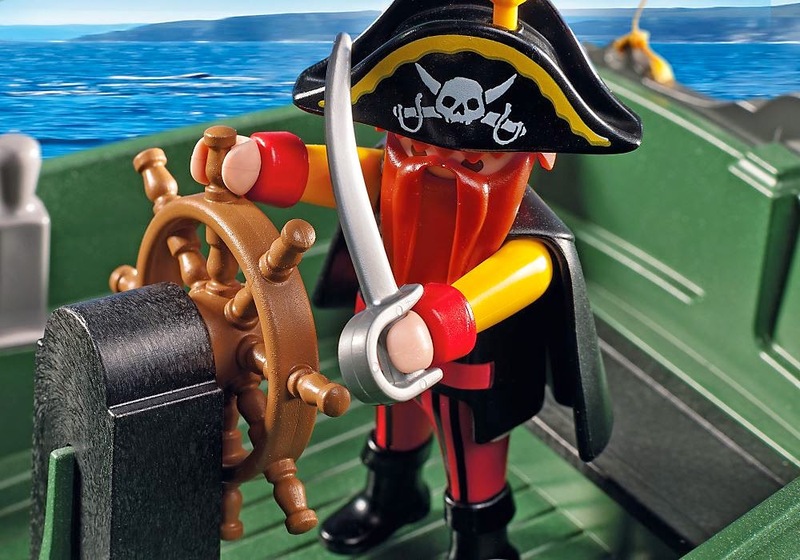 Playmobil, those stalwart toy makers, is a company whose products we haven't played with since we were kids ourselves . We can happily report that not much has changed since the play sets we had in the '80s, but now that most of us are parents we were keen to see how Playmobil held up against the might of our own children. So first, the ship. There's lots of detail here with play features such as a storage hold (for ye booty, me hearties), cannons that actually shoot, and lovely black and flexible sails. Included also are three figures; a captain, the first mate, and a wee lad to shimmy up the mast to the crow’s nest. 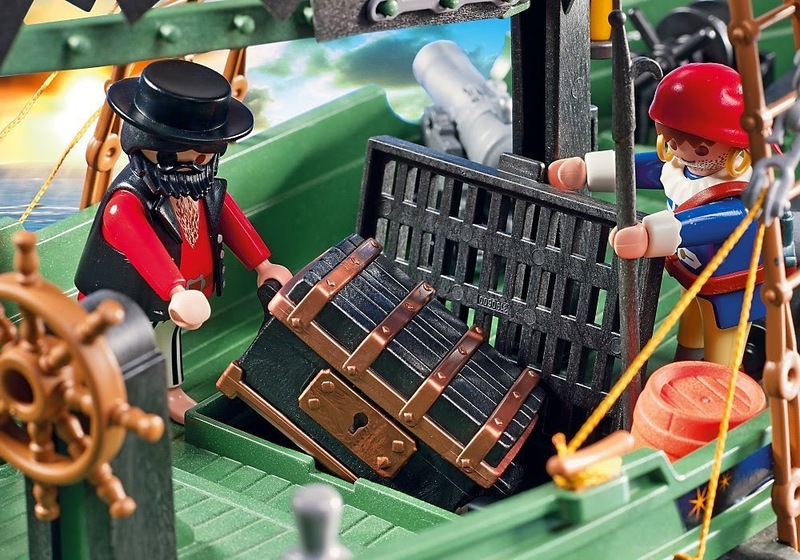 The piratical trio come complete with accessories like swords, a treasure chest (with treasure), shovels, an anchor and other bits and bobs. So in terms of playing, the kids will adore this. 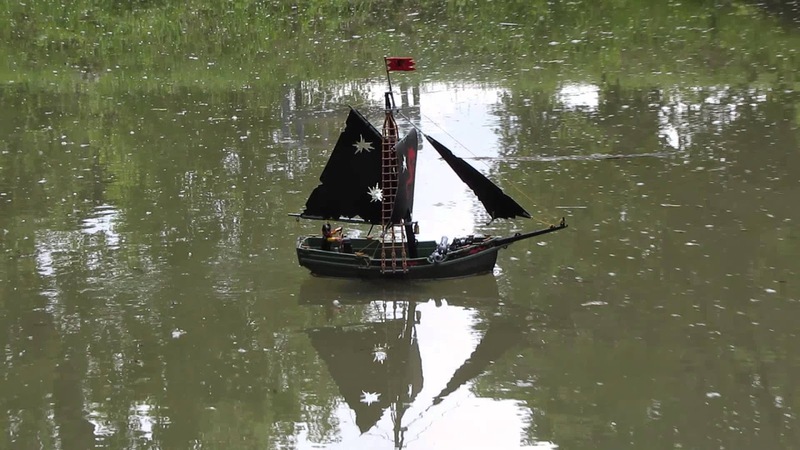 There's plenty going on to recreate all manner of Pirate adventures, and that's before we've even taken it outside. The included twin-prop motor clips onto the underside of the Pirate Ship when you and the kids are ready to set sail (it also says it can attach to other Playmobil boats, but we've not tried that). It hangs down quite low from the ship and does a good job of keeping it upright and stable in the water. One note on that: most baths will be far too small for this thing, so get inflating the paddling pool or head to the nearest pond. The remote control itself is well laid out and clearly built with little hands in mind. The controls couldn't be easier, with one stick handling the throttle (which gets the ship going quite gently) while the other manages the rudder. It's the kind of thing that really doesn't require much practice at all, and although the recommended ages are 7-12, we had a three year old confidently captaining at one point (and a vicious hound she was, the scourge of the local park's pond, the botherer of ducks, the destroyer of lilly pads). 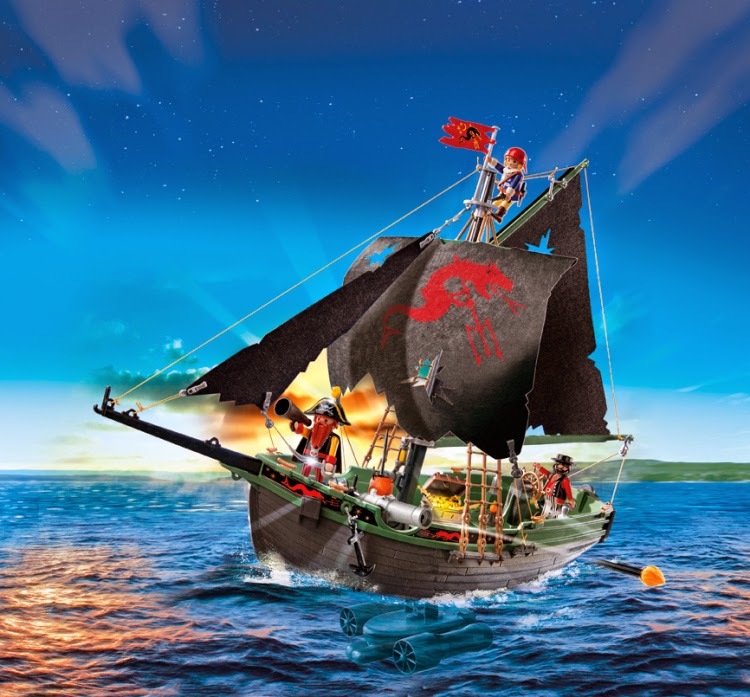 We really love the Playmobil Remote Control Pirate Ship, but not nearly as much as the kids did. You get two toys in one here; an accessory-laden play set complete with figures, and an outdoor RC toy that will work for hours at a time. 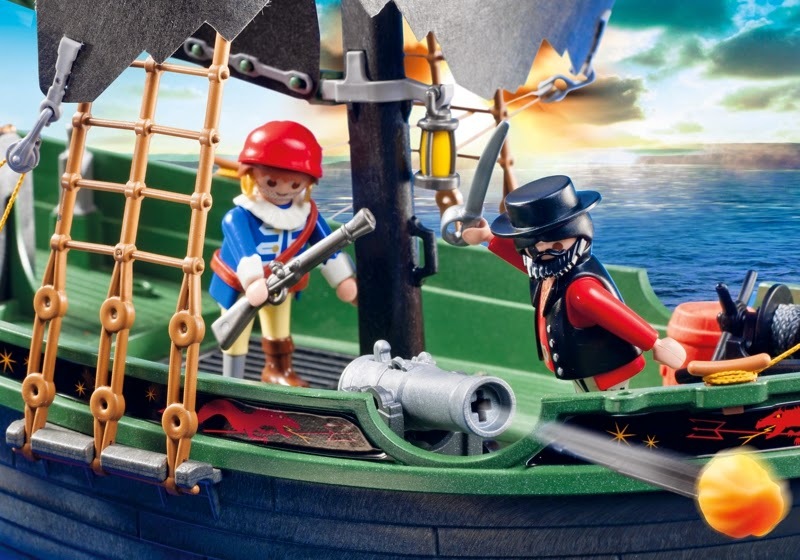 Making the motor detachable is a genius move on Playmobil's part, and people who own other Playmobil boats will be able to use it with those. An awesome toys, for both the wee ones and mum and dad. Arrr!